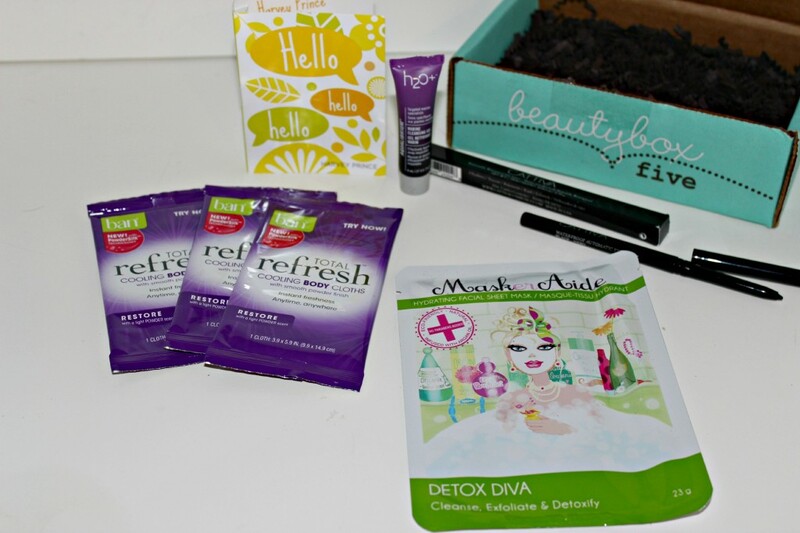 Beauty Box 5 sent me the May Beauty Box to try out and share my honest opinion! I found some new favorites this month! May is here and with that, I got my May, Beauty Box 5 in the mail awhile back! I have had time to try out all the products and I am pretty happy with this box! It was full of really awesome products! Each box comes with an info paper, telling you about each product and what it is and the value! I love that they do this, so I can know what I am getting! This box was full of some awesome goodies! I am really loving the Ban wipes, they really do have a cooling sensation! These will come in handy when the Summer heat kicks in here in Kansas. I even think next week we might have a few days that hit over 90 degree’s! The eye liner is amazing. It is nice and soft so it glides on perfectly and last well through the day! I was needing a new liner and this one is perfect! The MaskerAide hydrating mask was fun. It is a sheet mask that you sit on your face and relax for a bit while it does it’s magic. It is paraban-free, vegan friendly, and 100% biodegradeable! It cleanses, exfoiliates, and detoxifies the face. It was really awesome and my face felt great right after it! Overall this month rocked, I loved all the goodies that came in this box! I got a new favorite perfume, new eye liner, wipes to keep me cool when it gets super hot and more! If you do not subscribe to the Beauty Box 5, you might want to check it out! 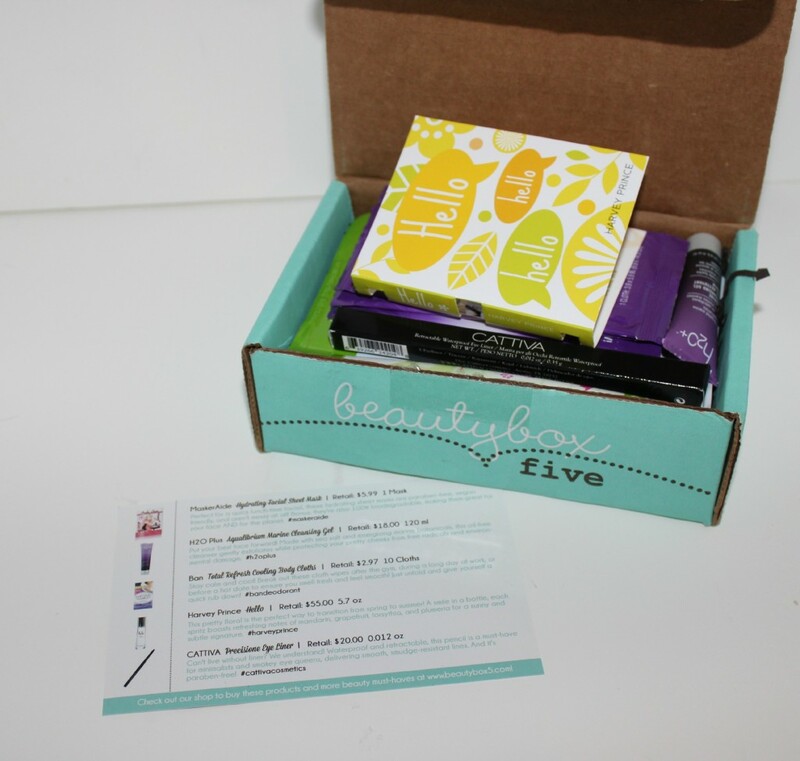 You can sign up for the Beauty Box 5 Subscription Box! You will get a box with products in it each month for you to try out! It is a great way to learn about new products and try them out! I have found some awesome products I love, and a few I didn’t care for! Is this Subscription Box something you would enjoy? I have never heard of this subscription box service before, but this really sounds a good one. I would love to try a few of those products that you got in there this month! I have never heard of this before. I am going to look into it. I would love this monthly box. It sounds like a lot of fun to get each month. I’ve used those ban wipes and they’re great for hot days. Way better than a baby wipe because your skin actually feels clean and soft after! I just love these boxes! It’s something to look forward to every month and a great way to learn about new items! 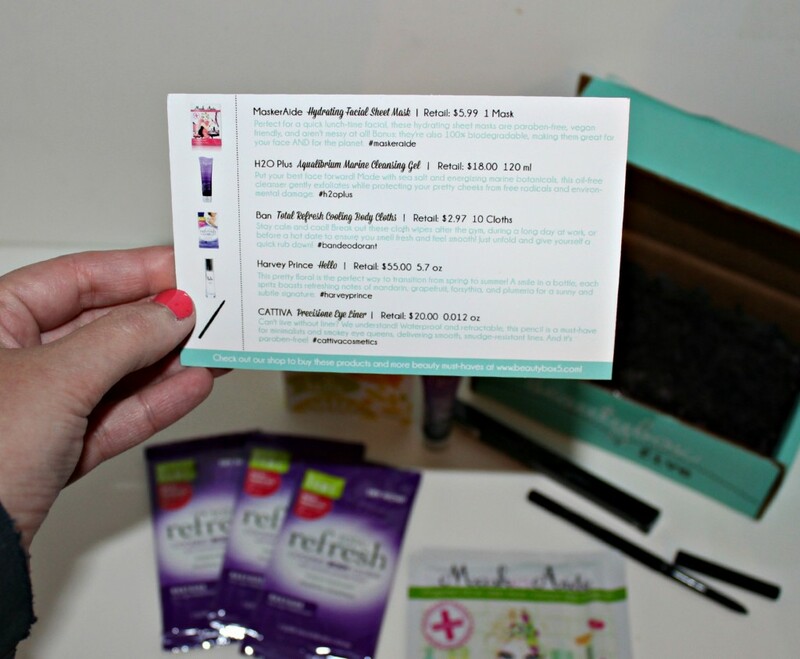 Looks like a nice assortment, thes Refresh products sounds great! Ooh these goodies look awesome! I adore trying new beauty products! That MaskerAide sounds incredible, I want to try it! I really want to try those Ban Cloths! I have heard they’re terrific!